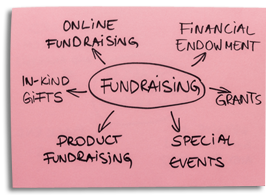 Our Fundraising Management starts with powerful online and POS capabilities to sell important development products. We integrate our donor management with our household account and membership management to give comprehensive reporting for constituents. Donors and members can login to their household account portal to review their donations, memberships, and even education camp and class registrations of their family members. From this portal they may update their profile, renew or upgrade their memberships, and manage their entitlements. Our backend management allows clients to print donor or member acknowledgement letters, membership cards, and to optionally take photo ID image capture. In addition, we have capabilities to search for potential duplicate donor, member, or household records and powerful de-dup and merge functions. Our reporting includes Fund Designation Reports, Household Total Spend Reports, Adoption Reports, Donation Reports, Tax Reporting, and Membership Renewal Reports.